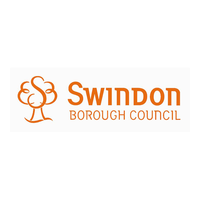 To ensure we can continue to help the children of Swindon whilst maintaining our high standards, within a changing strategic landscape, we are looking to appoint two new Trustees to join the Board in its role as governing body; setting policy, strategy and ensuring robust governance and financial control. Do you have time to spare? Do you have skills and experience of working in the field of mental health, or possibly skills and experience in the world of finance, management or HR and would you enjoy using those skills to benefit a brilliant local charity working to help local people with mental health difficulties? Swindon Sea Cadets are looking for some new volunteers to join their management committee to help with the strategic decision making for the organisation and supporting with their activities. We are pleased to have a settled and capable Board of Trustees who are working hard to ensure that VAS is sustainable and is doing the right things to support the voluntary sector in Swindon. However, after nearly three years of little change in the composition of the Board, we believe it is the right time to look at strengthening its membership. The VAS constitution allows us to co-opt up to two Trustees between AGMs and so this is the route by which we want to recruit ‘new blood’ to the Board. Co-opted Trustees will then be put forward for election by members at the next AGM. Music Alive has created opportunities in music for and with disabled people since 2002. Our services are much appreciated by users and attractive to funders when we are efficient in making applications. Music Alive’s Trustees are currently few in number so we need to find one or two more to share the tasks involved in effectively managing the charity. If you are thinking about ways of making a voluntary contribution to your local community or want to play an active part in the education of children in Swindon, have you considered joining the governing body of a school or academy? You do not need to have a child in school. Governors work with Headteachers and staff to shape the future direction of our schools and academies with the aim of helping all children achieve their full potential. Specialist knowledge and experience is not required. What we look for is interest, enthusiasm and an average of six hours of your time each month. If you would like to find out more about becoming a governor, please contact Governor Support for an informal chat.